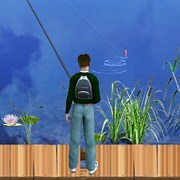 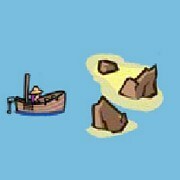 Description: A pretty unique fishing game that features 2D/3D Bank fishing in a 3rd person view (You can see your character). 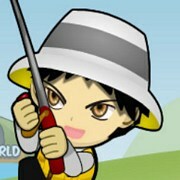 Play as a kid. 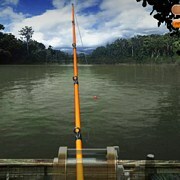 You can walk back and forth choose your spot to fish at. 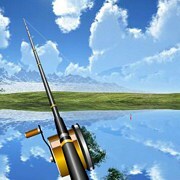 Also choose the pond you want to fish at along with what baits you want to use. 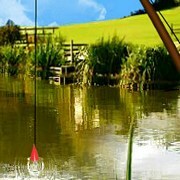 There are six ponds to choose from that have different species of fish. 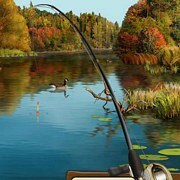 Different baits work for different fish. 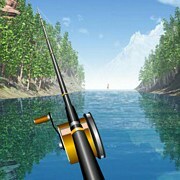 This game has many fish species to catch such as, Bass, Catfish, Bream, Pike, Roach, Crusian, Carp, Zander, Trout, Salmon, Grayling and more. 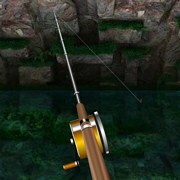 Instruction: I recommend you watch the walkthrough video and also see the "How To Play" menu in game. 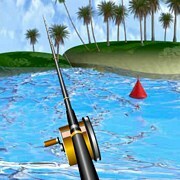 Game Controls: Use your mouse to move, select stance, cast and reel in.